One thing that I learned today is that red lipstick is not for the faint of heart. While venturing to Sephora at the Beverly Center to restock on eyeliner and powder, I decided to test out some bright red lipstick - the place I'm working at is having an opening party tonight and as the door girl I decided to find something that would really make a statement. The salesgirl suggested an orange-red color by Make Up For Ever and a matching lip liner and immediately I fell in love. She told me most women are a little afraid of red lipstick and usually chicken out and that I was one of the first people she has ever helped that was immediately enamored with such a bold color. Then again, most women aren't so comfortable making a lot of fashion statements. It's funny, how people are almost shocked with the outfits I wear and the general effort I put into presenting myself well because so many people are afraid of fashion and being noticed and wearing red lipstick. But not me! The second I put that color on I was in love, and I kept it on for the remainder of my time browsing around the Beverly Hills shopping center. The secret to a bright lip: lip liner and a lip brush. When trying to pull off such a bold hue, precision is key. Line the lip first and then go back and color in the rest of the lip. If you hope to try a red lip for a longer event, you can even line the lip and then color in the entire lip with a liner, then apply a coat of lipstick. Your lips will absorb the color of the liner more, for a long-lasting result! And of course, you must be confident when rocking the red. This color is not for the faint of heart, so you can't be shy when wearing this daring color! 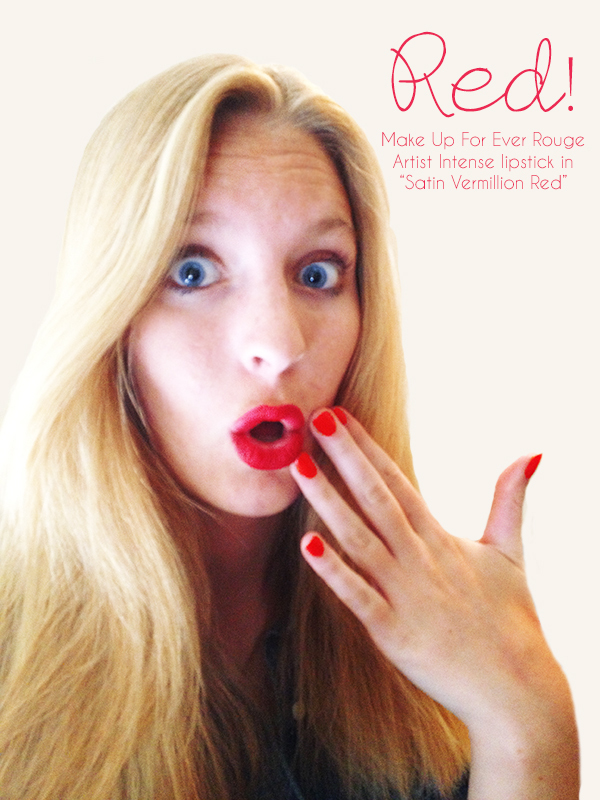 So have I convinced you to try a red lip? You have definitely influenced me to be more adventurous with my lipstick choices! Great post! I'm glad! I myself have only recently become invested in makeup and beauty, so it's a fun adventure to explore new products and colors!